Windows-only no more. Final Cut, get ready to rumble. On the eve of Macworld Expo, Adobe has announced it’s finally restoring feature parity between the Mac and Windows versions of its Production Studio suite. That means Premiere Pro, its video editing app, and Encore DVD, its DVD authoring package, will both be available as part of the Mac suite. Encore DVD: First time on the Mac since its 2003 introduction. Soundbooth: New product; first major Adobe-developed Mac audio app ever and the first “Macromedia” audio app since SoundEdit 16 sales were discontinued in 2004 (after a long, slow death). Intel-only Soundbooth development caused a bit of a stir in the Mac community, but it’s clear that Adobe has decided they can develop these products for two platforms if it means developing for only one processor architecture. After a difficult year of making the Intel transition, in other words, 2007 will be the year Mac users can reap the rewards. I’ll be especially interested to see what video performance is like in the OS X release of Premiere, as the Mac has some very nice optimizations for video. The response so far from Mac users seems to be very positive; a lot of Mac advocates are (rightfully) seeing this as real momentum — long lost momentum — for the Mac platform. Some will continue to question Adobe’s Mac commitment, but it’s important to note that Adobe didn’t really “drop” Premiere support on Mac. They re-built Premiere almost from scratch in 2003, and decided it didn’t make sense to make that version run on the Mac, partly because Apple made it clear they wanted to own the whole platform. Don’t get me wrong: I love Apple’s pro apps, both on the music and visual side. But I love multiple vendors and competition even more. Ironically, the biggest challenge facing the Mac release may be that Mac users just aren’t very familiar with the package. I’ll talk this weekend about some of the integration features, but as good as Final Cut Studio is, my own feeling is that Adobe’s suite has both better, more comprehensive integration, and a more complete suite to integrate in the first place. Motion, while a powerful tool, isn’t comparable to After Effects, and Apple has no equivalent of Photoshop or Illustrator. But whichever suite you choose — or if you use a combination of both — for the first time in a long time, the Mac will have some real competition. And Mac creatives won’t have to go buy a PC just to run the full suite. Windows just won my 2006 platform pick. The Mac may dominate 2007. 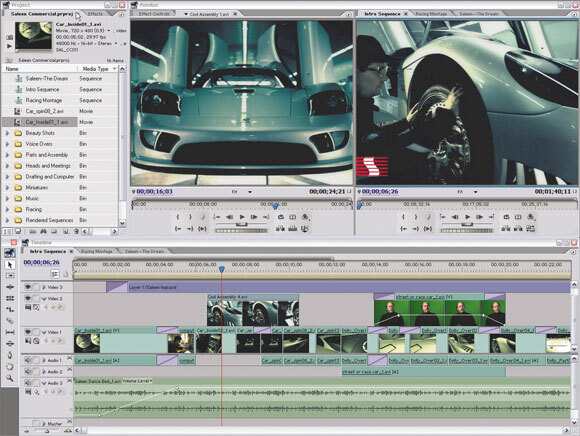 Adobe will have demos of Premiere next week at Macworld; we’ll be there to cover it.